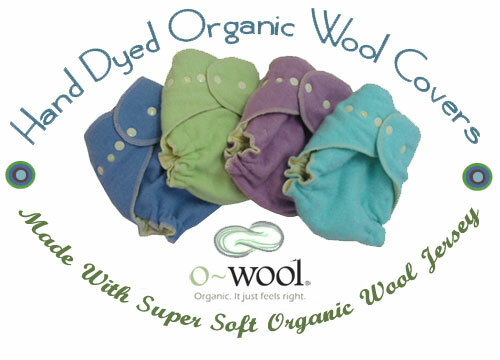 Our organic wool diaper covers are made with O~Wool, a soft organic wool jersey. Each organic wool cover is made with two layers of o~wool. We have both undyed and hand-dyed organic wool covers available. Click below to see what we have in stock.